I am creating a standalone Arduino using Atmega328P. The circuit is below. whenever I try to burn the Arduino Uno bootloader. I'm assuming that the chip isn't responding to the SPI lines? I know I'm doing something wrong but I can't see it. I'm using a true Arduino UNO as the ISP. I've uploaded the ArduinoISP code into it, choose Arduino as ISP as Programmer and Arduino Uno on boards. The programming connections are just wired from Arduino UNO pins to some vias I've purposely added on the layout. As mentioned in the comments, I'm adding an image of the layout here. I've tried this very circuit on an atmega328P soldered in a TQFP adapter and with the other components soldered on the adapter as well (looks like a jungle of wires) and somehow I was able to burn the bootloader. Hoping someone can point out what's wrong. 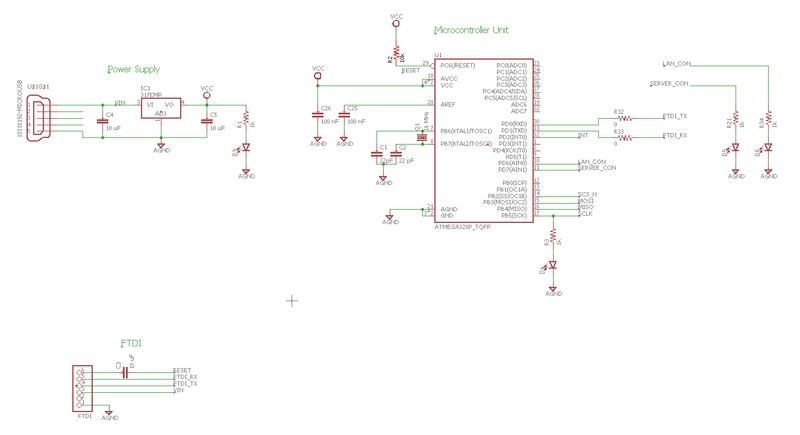 From the schematic it appears you are using a LM317 voltage regulator from USB V_IN. The voltage drop is too large and your issues may be due to brown out, i.e. insufficient voltage: See this SE post. 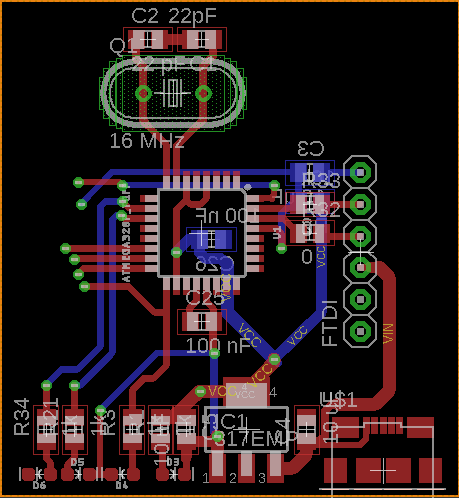 You can solve it by using a lower dropout regulator (5 V to 3.3 V) or just use the standard USB 5 V, bypass V_IN to V_CC. Not the answer you're looking for? Browse other questions tagged atmega328 bootloader or ask your own question. Homebrew Arduino using ATMEGA328P, ISP or ICSP?